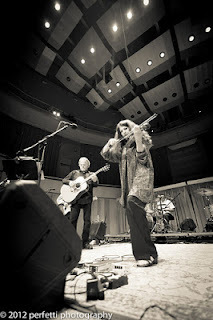 Scarlet Rivera with Geno and his band. Begin with the Wynn and Belagio casinos. Tell how Vegas is a story of unchained imagination, people doing unbelievable things, thinking big. Then talk about how we're often unaccustomed to this kind of thinking. We accept the way things are instead of cultivating and fertilizing our dreams. Next, explain the power of teams and of collaboration as lead-in to the upcoming Hard Rain In Duluth - After the Flood Benefit Concert presented by the Armory Arts & Music Center (AAMC). Talk about the contributions the Armory has made over the decades, and its historical importance. Mention some of the famous folk who have been there or performed there including, Arthur Rubenstein, Bob Hope, Buddy Holly and Doris Day. And, yes, Dylan. Outline some of the challenges involved in attempting to restore the historic building. Introduce the people helping spearhead the fund-raising for this restoration project. Write something about what these people envision for the building as a music resource center, a veteran's tribute and more. ~Cleaned up the Armory after the devastating flood of June 2012 with the help of dozens of community volunteers. ~Anticipate receiving over $100,000 in flood relief reimbursements and repairs from MNHS. ~Continued to show building to prospective tenants. ~Currently in our second year of our Music Resource Center program. ~Awarded Legacy grant from MNHS to help in roof repairs. ~Worked with local group of blacksmiths, Forging Community, helping them form a non-profit and provide them studio space in the Armory Annex. ~Cleaned up and are in the process of renovating the annex into art studio space. ~Currently working with UMD’s Center for Economic Development to refine the Armory’s business plan for the Drill hall space. ~Expanded our volunteer network including collaboration with UMD’s Office of Civic Engagement. Next Friday, the 17th, will be the concert at Weber Hall featuring Scarlet Rivera with Gene LaFond and the Wild Unknown along with Courtney Yasmineh. I hope to see you there. This North x North event is kickoff to the North Country Dylan Week.